But what is design fiction? The generally accepted definition of design fiction is the ‘intentional use of diegetic prototypes to suspend disbelief about change‘. That’s a bit of a jargony mouthful. With the most jargony part being the word ‘diegetic‘. Diegetic is the adjective from the noun ‘diegesis’, and diegesis is derived from ancient Greek philosophy. The concept is fiendishly deep and complex, so properly ‘getting’ it is pretty damn hard (and, if I’m honest, probably beyond my modest cognitive capacity). For the purposes of design fiction, however, it can be taken to simply mean ‘story world’. So if we put it like that, design fiction is really quite simple: it’s about incorporating design concepts into story worlds. But why would you join together a design concept and a story world, why put a prototype inside a fictional world, what’s wrong with this world? Well, it’s about the power of situativity, the depth of insight that emerges when action and context are considered together and with equal importance. And this is where the similarity between design fiction and ethnography can be drawn. The combination of design provocation and context is design fiction’s unique selling point (even if it is all just ‘made up’). It differs from traditional notions of fiction in that it tells situations rather than stories. And it differs from normal views of design, in that the designs are only of consequence when considered in terms of the (made up) situations they’re placed within. So is design fiction really design? In short, I’d say yes! It is done by designers, and requires a designerly way of thinking, it uses the same techniques and methods of design, and the reason you would do it is to design stuff better. However, it differs in one very specific way. Most design endeavours endpoint is a new product, service, policy, or similar. The output is something tangible, often material. Design fiction, as with other types of speculative design, is not interested in material endpoints. Rather, it is interested in insight, critique, and understanding. By doing design fiction you will learn something that you didn’t know before. You can call those things insights, if you like. Similar to design ethnography, right? 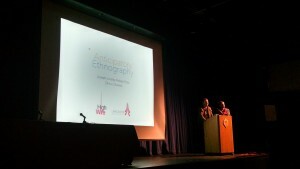 Anticipatory ethnography is a concept that I, Dhruv and Rob came up with in 2014 and presented at EPIC in New York. We figured out how to join together design ethnography and design fiction such that one could do an ‘ethnography of the future‘. Do go and read the paper, but I’ll try and give a very brief explanation here. Presenting at EPIC 2014 (NYC). Having never been before I was totally enamoured by such a wonderful community. Thanks for having us. 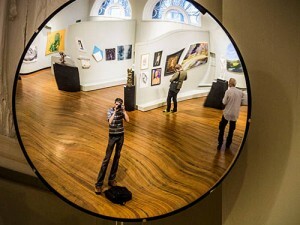 In its simplest form we suggested that if a design fiction is done really well, if it shows designs that are situated in their story worlds to a sufficiently high standard, then it should be possible to consider it ‘real’ and apply data collection and analysis techniques borrowed from design ethnography. This isn’t just a quirky argument (although I think we did refer to it as a ‘conceptual maneuver’) – there is actually a need for it. Design fictions are brilliant, but they lack established methods or approaches that can be used to interpret or analyse them: practitioners are searching for how to produce insights from the speculations. Similarly, design ethnography is brilliant, but the insights it produces are temporally bound to the contemporary situations that the ethnographers observe. By joining the two ideas together both problems are addressed… at least that’s the theory. Since the initial EPIC paper describing the idea I’ve done two further studies into how design fiction may interact with ethnographic inquiries using anticipatory ethnography. In the first, four researchers watched the 2013 film Her (which we classify as an ‘incidental design fiction’ as defined in this paper from the European Academy of Design), taking notes about all aspects of the diegesis: the environment, the buildings, the people, and technologies they used and lived with (in this case dominated by the artificially intelligent operating system ‘OS One‘). 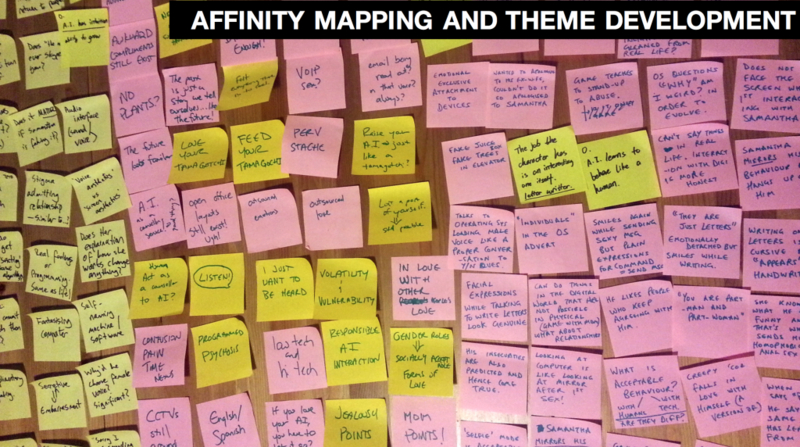 We went through an affinity mapping process, developed themes, and attempted to produce actionable insights from them. In general, this first attempt at an anticipatory ethnography was a success. We did produce some interesting insights, and the study was published at EPIC in the paper ‘Operationalizing Design Fiction with Anticipatory Ethnography‘. Incidentally we also had to coin the term ‘outsight’… but that a different story: go read the paper! Post its are our friends. In the second anticipatory ethnography study we took a slightly different approach. Again we turned to Hollywood to get some extremely rich design fiction source material, in this case the 2012 movie Robot and Frank. However, rather than observing the film directly to generate insights, we showed clips from the film to a number of participants. In this way we used the design fiction as a stimulus (in order to ultimately produce situations that could be analysed ethnographically). Next we asked our participants to immerse themselves in the world of the film, and imagine that they or their families lived with the technologies shown in the film. Finally we interviewed them about their experiences of living with these technologies (which, let’s not forget, are entirely fictional). The result is the design fiction documentary Care for a Robot. This fictional documentary film – which we presented at the 2015 Conference for Ethical Computing (ETHICOMP) – is intended as a site for further ethnographic observations in order to produce actionable insights that are applicable to not-yet-domesticated technologies (in this case robotic carers). 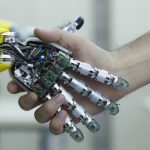 A research paper supports the film and describes how to operationalize design fiction in order to produce insights about ethics and technology. Of course, design fiction’s relationship with ethnography is not limited to analysing science fiction movies or using science fiction movies to create fictional documentaries for further interpretation. Where I see the biggest opportunity is when several ideas come together to form something bigger (cf. the GIF about ‘greater than sum’ on my introductory post). So far those ideas are best contained by our concept for a Strategic Speculation Consultancy, which for the time being has been named Lemon Difficult. Organisations frequently require consultancy in order to support their strategy development, in particular where technology is concerned. There are a raft of different techniques that consultants might use and approaches taken to meaningfully interpret the environments and situations relevant to their clients’ business such that insights can be produced. These in turn can be used to form a cohesive strategy. The concept of Lemon Difficult – named in part because futures consultancy clearly is not easy – is to do just that, but to do so in a way that builds from the various strands of research that is emerging from the HighWire Centre (the second reason for the name is because of the clip from cult British film In the Loop that Dhruv mentions in his post) . This means producing insights that can inform more radical future strategies. It means delivering human centred insights about technology futures, to consultancy clients. It means employing the tacit interpretive ability of any organisation’s employees or stakeholders. It means creating a deeper understanding through the production of speculative artefacts (whether they be film, prose, or some other kind of design fiction). Most importantly it means doing all of these things at the same time and recognising the interplay between them. If you have followed the whole series you might see where I am going with this… it joins up a little bit of each post in the edition. 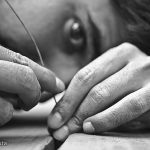 First, we should remember the sentiment of Dhruv‘s post: everybody is an ethnographer. Dhruv says that if the interpretive capacity is innate, then perhaps the role of professional ethnographers is to facilitate that interpretation. Lemon Difficult’s expertise is in honing that interpretive ability in collaboration with stakeholders. 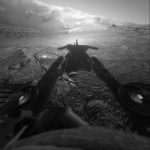 Second, we should consider Robert’s perspective, a key part of which is about how making practice (whether that be filmmaking, building video game worlds, or creating physical objects) is a powerful way of generating ethnographic insights. Lemon Difficult makes things in just the same way, as well as helping our clients to make things too. Third, Ding’s work that applies ethnographic approaches to understand smart cities reminds us (not that we should need reminding) that rhetoric around progress and technology means nothing if people aren’t upfront-and-center to that discussion. Lemon Difficult’s approach revolves around this ideology, whether it be what we can do right here and right now, or whether we are speculating about a near future. Finally, Lemon Difficult use design fiction. We are experts in the creation of story worlds (diegeses) for our prototype technologies and interventions to cohabit with people and situations, the analysis of pre-existing speculative artefacts, and the power of storytelling. Crafting and interpreting these design fiction worlds is central to the Lemon Difficult strategic futures consultancy process. By combining these three constructs there is a tangible opportunity for a radically innovative approach to strategic consultancy that is research-backed, human-centred, future-sensitive. The big question is how do you do that? Well, I’ve given you some hints, but precisely how.. that is our trade secret. It would be rude not to finish this blog post, which concludes the edition on Post Disciplinary Ethnography with this. 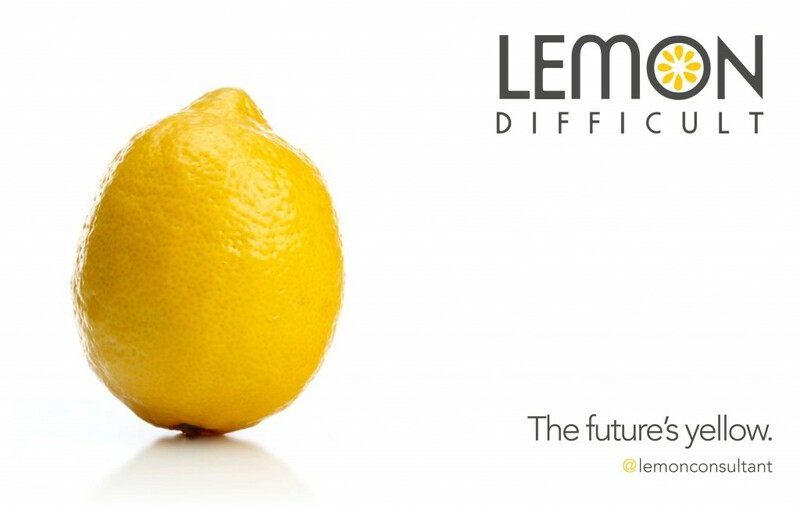 The future is difficult, the future is Lemon Difficult. Cheerio! ← Don’t panic: the smart city is here!